Hepatitis A and B are viruses that affect the liver and are present in much of the developing world. Symptoms of hepatitis A include nausea, abdominal pain, poor appetite, fatigue, jaundice, and dark urine. Symptoms of hepatitis B include jaundice, fatigue, and weight loss. Fortunately, the two diseases are preventable with the Twinrix vaccination. Twinrix is a vaccine that protects against hepatitis A and B, two serious liver diseases that are caused by the hepatitis A and B viruses. 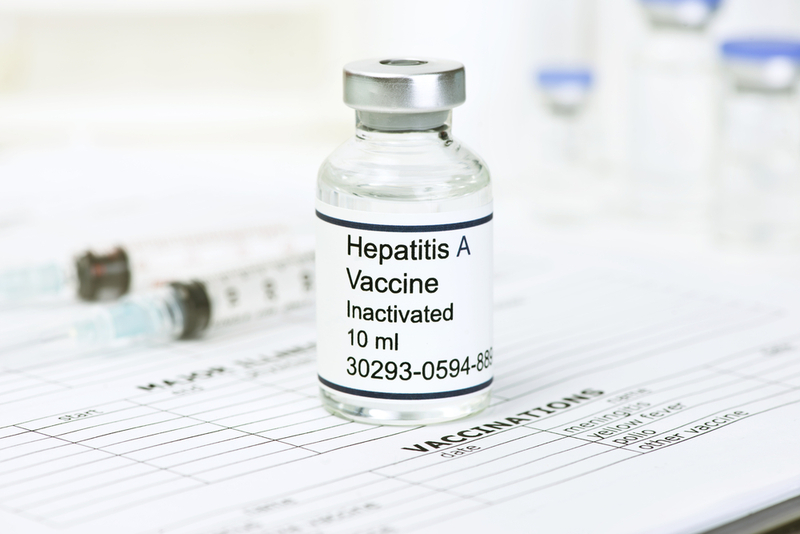 How do people contract hepatitis A and hepatitis B? Hepatitis A is contracted by ingesting food or drink that has been contaminated by human waste. Hepatitis B is contracted when a person comes into contact with the bodily fluids of an infected person. Where are hepatitis A and B typically found? Hepatitis A can be found worldwide, although it’s most often found in regions with a heightened risk including South Asia, Central Asia, Latin America, Middle East, and North Africa. Hepatitis B is found in the Middle East, the Far East, Africa, South America, Central Asia, and Eastern Europe. Are hepatitis A and B preventable? Hepatitis A and B are preventable with the Twinrix vaccination. Why should I get a Twinrix vaccination? If you plan on traveling to one of the areas mentioned, especially the Caribbean, you should get a Twinrix vaccination. Where can I get a Twinrix vaccination? You can receive a Twinrix vaccination from any one of our Executive Health Services, Inc. locations. Who should I speak to about a Twinrix vaccination appointment? You may speak to any of our employees about scheduling an appointment for the Twinrix vaccination by calling us at 215-235-3500 or 800-ASPIRIN. At Executive Health Services, Inc., we’re the only approved GLOBAL migration health exam provider in an area that spans hundreds of miles. This is one of the many reasons why we’re a leading provider in the previously mentioned radius. We also offer 24/7 live support from a real person to ensure that you receive the help you need. To learn more about the Twinrix vaccination, contact us at 215-235-3000 or 800-ASPIRIN.